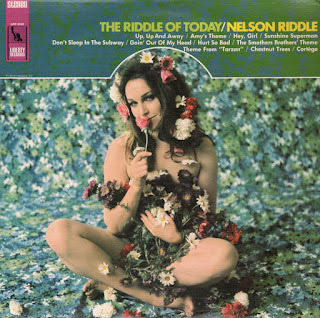 Hollywood reissue featuring the same catalog number but different cover art, title and artist (Barry English). Although, oddly enough... it may be that the disc with the "Barry English" credit was stuffed into the reissue jacket. At least, that what appears to be the case with my copy. From the back cover: You take one great jazz pianist; 1 bass; 1 guitarist; 2 drummers; (Eddie Safranski - bass; Mundell Lowe - guitar; Cliff Leeman and Frank Garisto, Jr. - Drums) all of whom are tops in their field, mix well with a good interpretation and you have the solid combination featured in this album, Hey, Lover. Johnny Guarnieri, whom RKO Records is fortunate to have as the jazz pianist, comes from a family of fine violin-makers. As a result he was exposed to classical music during his early years and due to his fine training and background, is equally at ease playing Mozart as well as popular music. Johnny's first love, however, has always been jazz. America's own musical creation. He employed all the elements of his vast talents into his jazz interpretations and stylings and it wasn't long before the name of Johnny Guarnierei was synonymous with smooth, rhythmical keyboard magic. Johnny worked with Benny Goodman and later join Artie Shaw, where he was a prime factor in setting the style of the popular Gramercy Five. "All That Jazz," contained in this album, is a fine example of the Guarneri mood set to his own musical composition. 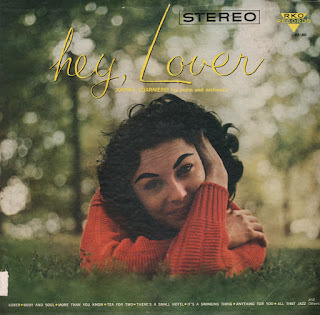 From Billboard - March 9, 1959: This low price stereo disk contains some fine piano work by Johnny Guarnierei, accompanied by a talented group of jazz musicians. The tunes are mainly standards, including "More Than You Know," "Body And Soul," "Lover" and "Tea for Two." Stereo separation is good and the LP is a good buy for the money. 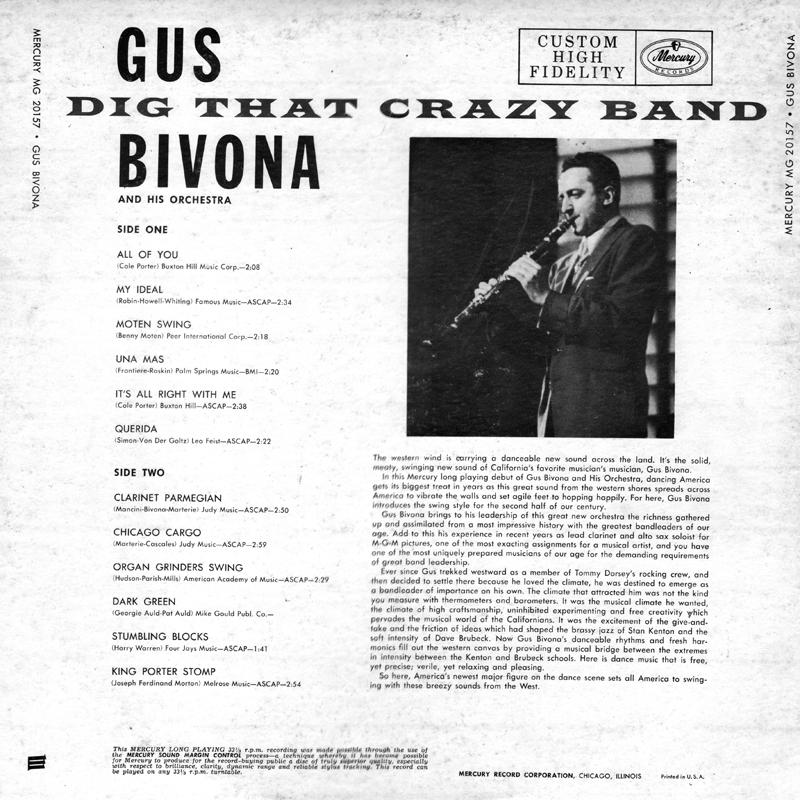 From the back cover: Gus Bivona brings to his leadership of this great new orchestra the richness gathered up and assimilated from a most impressive history with the greatest bandleaders of our age. Add to this his experience in recent years as lead clarinet and alto sax soloist for M-G-M pictures, one of the most exacting assignments for a musical artist, and you have one of the most uniquely prepared musicians of our age for the demanding requirements of great band leadership. Ever since Gus trekked westward as a member of Tommy Dorsey's rocking crew, and then decided to settle there because he loved the climate, he was destine to emerge as a bandleader of importance on his own. The climate that attracted him was not the kind you measure with thermometers and barometers. It was the musical climate he wanted, the climate of high craftsmanship, uninhibited experimenting and free creativity which pervades the musical world of the Californians. It was the excitement of the give-and-take and the friction of ideas which had shaped the brassy jazz of Stan Kenton and the soft intensity of Dave Brubeck. Now Gus Bivona's danceable rhythms and fresh harmonics fill out the western canvas by providing a musical bridge between the extremes in intensity between the Kenton and Brubeck schools. 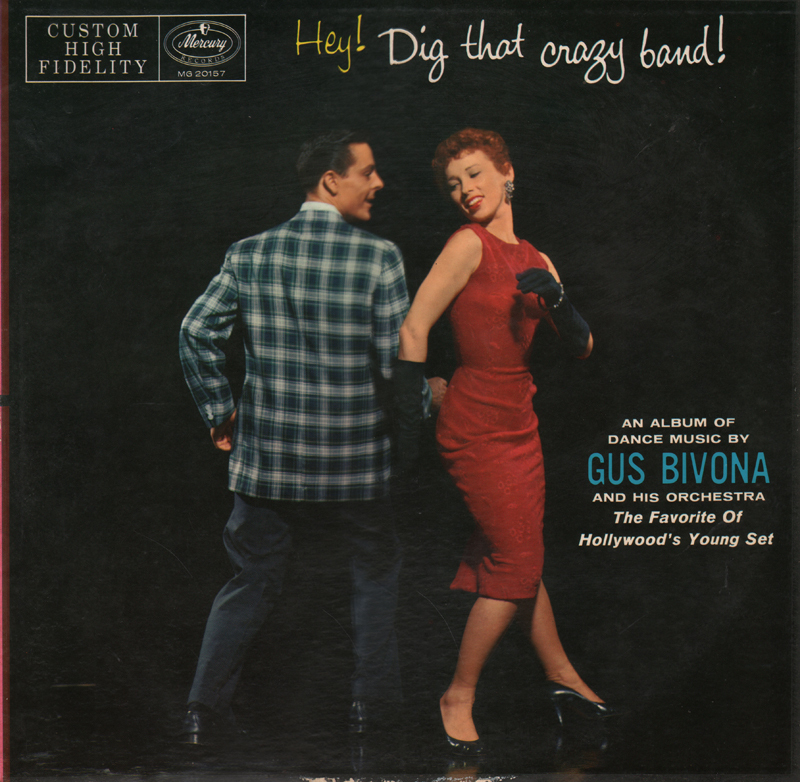 From Billboard - November 17, 1956: Bivona's album debut on the label has every earmark of a click with the terping younger set. Here are great swing arrangements with masterful clarinet and alto sax leads, listening as sharp for sitting oldsters as for younger steppers. This is top craftsmanship in sound that packs originality and carries plenty of power for jock dancing spins. Can make a fine holiday package for families with young dancers in the house. 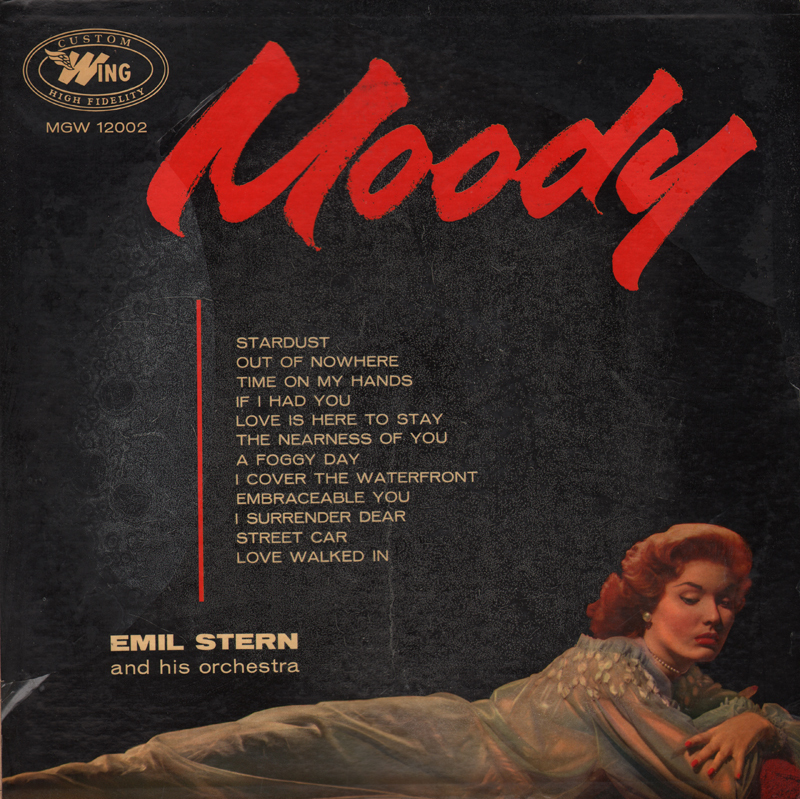 Smooth mid-50s "mood" package that features a set that nicely supports the cover art and title theme "Moody". 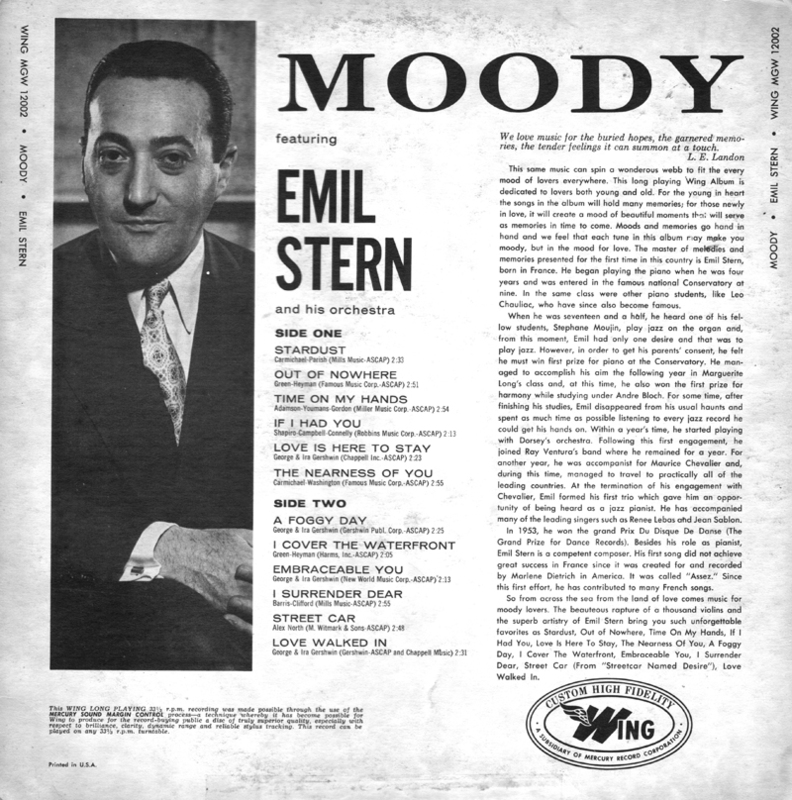 From the back cover: The master of melodies and memories presented for the first time in this country is Emil Stern, born in France. He began playing the piano when he was four years and was entered in the famous national Conservatory at nine. In the same class were other piano students, like Leo Chauliac, who have since also become famous. When he was seventeen and a half, he heard one of his fellow students, Stephane Moujin, play jazz on the organ and form this moment, Emil had only one desire and that was to play jazz. However, in order to get his parents' consent, he felt he must win first prize for piano at the Conservatory. He managed to accomplish his aim the following year in Marguerite Long's class and, at this time, he also won the first prize for harmony while studying under Andre Block. For some time, after finishing his studies, Emil disappeared from his usual haunts and spent as much time as possible listening to every jazz record he could get his hands on. Within a year's time, he started playing with Dorsey's orchestra. Following the first engagement, he joined Ray Ventura's band where he remained for a year. For another year, he was accompanist for Maurice Chevalier and, during this time, managed to travel to practically all of the leading countries. At the termination of his engagement with Chevalier, Emil formed his first trio which gave him an opportunity of being heard as a jazz pianist. 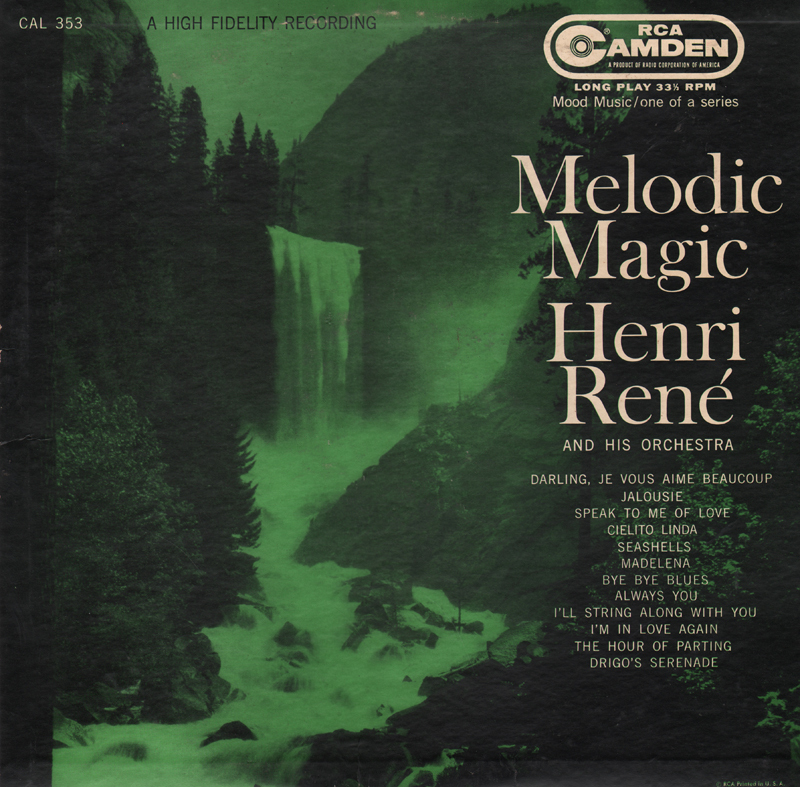 He has accompanied many of the leading singers such as Renee Leas and Jean Sablon. 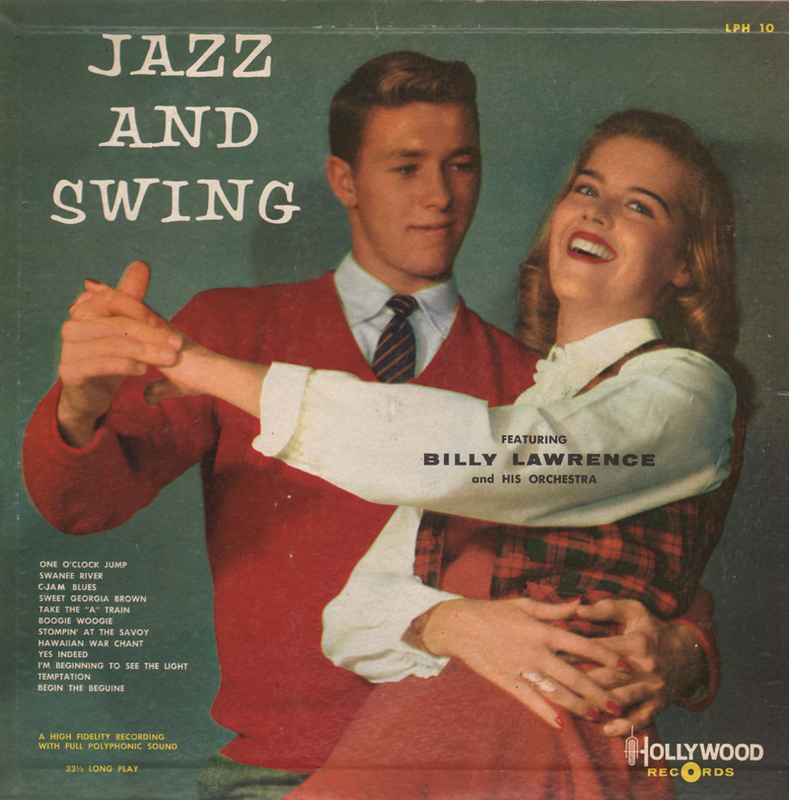 In 1953, he won the grand Prix Du Disque De Danse (The Grand Prize for Dance Records). 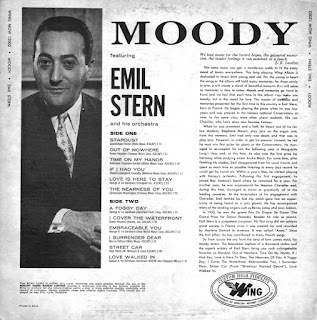 Besides his role as pianist, Emil Stern is a competent composure. His first song did not achieve great success in France since it was created for and recorded by Marlene Dietrich in America. It was called "Assez." Since this first effort, he has contributed to many French songs. 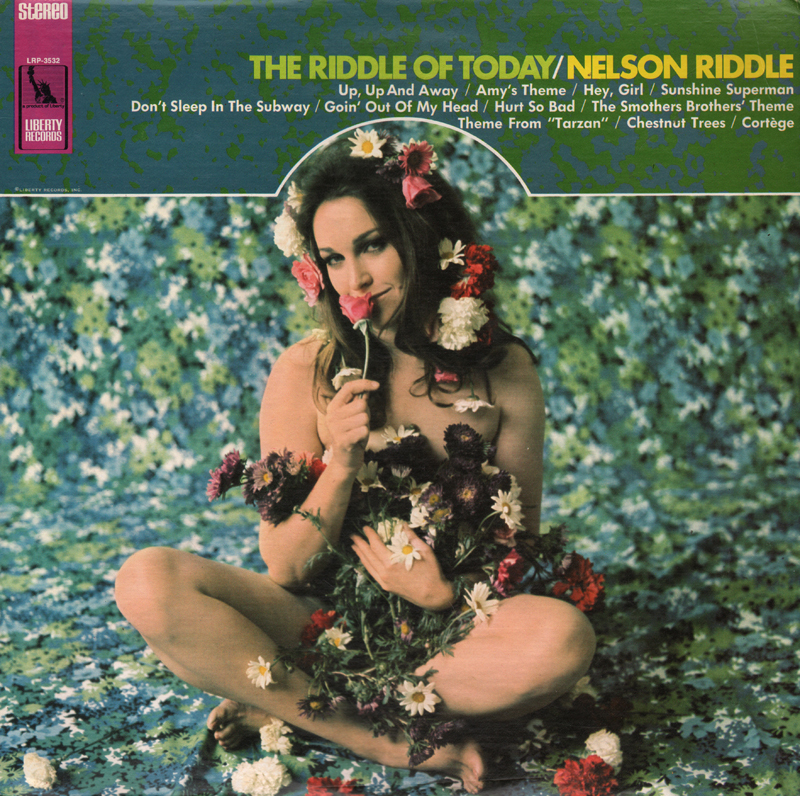 From Billboard - November 4, 1967: Nelson Riddle gets in a pleasant pop mood with "Don't Sleep In The Subway," "Goin' Out Of My Head" and "Sunshine Superman," "Cortege" and Chestnut Trees." He also treats the "Smothers Brothers" and "Tarzan Theme" with class. Collection of mood instrumentals with the exception I'm In Love Again featuring vocalist April Stevens.